Jammu and Kashmir Peoples’ Movement (JKPM) under the leadership of Dr Shah Faesal launched it’s Public Reach-out’ campaign starting from the frontier district, Kupwara to understand the people’s grievances, demands and problems. 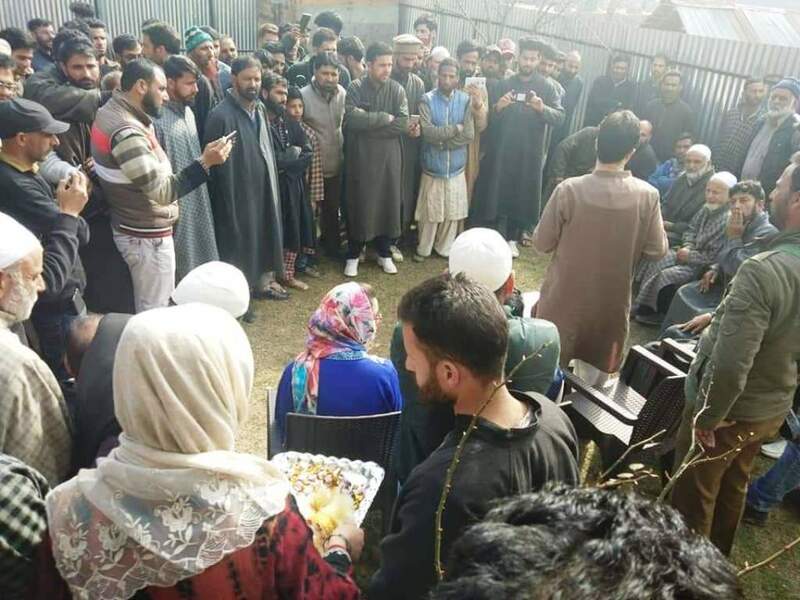 The spokesman said that in its first public reach-out, JKPM team visited various villages and held interactions with the delegations from Bumhama, Dodawan, Nag Sarai, Mudmadu, Thyan, Huayhama, Hayhama B, MerNag, Kupwara town, Doniwari, Wowura, Chepora, Chaiwan and Mudanpora. A team comprising Dr Shah Faisal, Chasfeda Shah, Shah Mubashir, Dr Mustafa, Perzada Feroze, Zameer Ahmad Shah, Iqbal Rather, Feroz Wani, Arshid Nazir Paray, Ghulam Ahmad Shah, Nazer Ahmad Khan and Dr Zahoor Ahmad Bhat was overwhelmed by the response from the people hoping that Faesal will work for the common people, find a solution to the vexed Kashmir issue and give them an alternative from the traditional “oppressive dynastic politics”. The spokesman added that “Reach-out” campaign is primarily focusing on bringing social awareness which is viewed as the precursor for the political revolution that JKPM has envisioned. Under the dynamic leadership of Dr Faesal JKPM will reach out to all the villages and remotest areas of the state to give them a say in determining their future, development and prosperity.